You are here:Home-CHILD ACTORS, Livvy Stubenrauch, New talent, THE BUZZ, Top Child Stars-FROZEN Child Star LIVVY STUBENRAUCH! We were very fortunate to meet FROZEN child star Livvy Stubenrauch and her Hollywood Mom Noelle, dad John and her rocking Hollywood GrandMom Sharon Griffin on Livvy’s ride to child actor super stardom. This is Hollywood Mom Blog‘s interview with Noelle Stubenrauch from November of 2013. This inspirational story is for YOU. Enjoy! For those of you that ask, “Can my child be an actor outside of L.A. or NYC ?” FROZEN Child Star LIVVY STUBENRAUCH is a real inspiration. 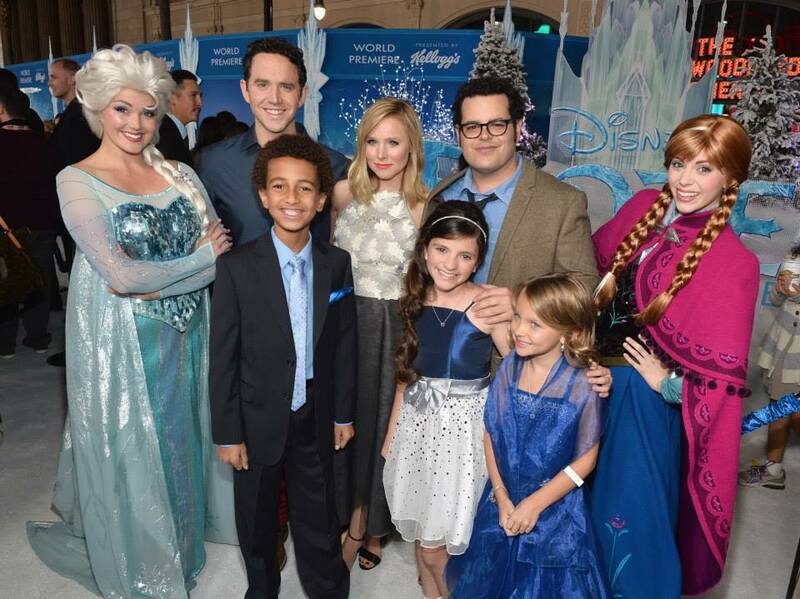 The youngest of three children in a family from Cincinnati, Ohio, Livvy holds the honor of voicing Disney’s Young Princess Anna in the new animated feature FROZEN, releasing nationwide Thursday. The older version of Anna is played by the lovely Kristen Bell. HMB spoke to Livvy’s Hollywood Mom Noelle Stubenrauch about how her pretty, midwestern daughter became a Disney Princess and the Stubenrauch family’s journey into the unique world of Hollywood. 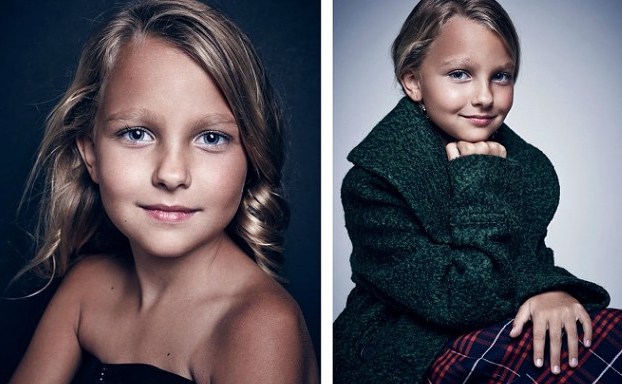 How did FROZEN Child Star LIVVY STUBENRAUCH get her start with professional acting? What were her first professional bookings? When did the opportunity to audition for FROZEN come about? “She auditioned for the Voice Over role in FROZEN in early April and got the call back at the end of April. She was actually scheduled to come back the last day of April and we found out right before that that she got the part. My mom recalls that it was about 7-10 days each between the audition and call back and call back and getting the part. The agent submitted her for the part and her manager met them there to help with process. How did Livvy react to the news that she booked the role? What was the voice over process like for Livvy? How long did it take and was she required to work alone? “The recording didn’t take long at all, about 45 minutes. [Livvy] had about ten lines and then a bunch of noises (sighs, giggles, grunts, etc). 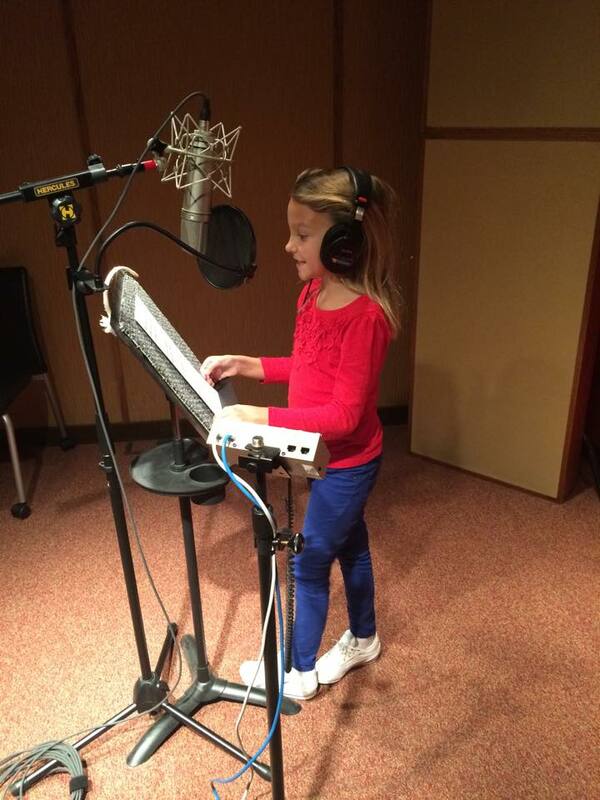 She recorded by herself at Disney Animation Studios. The directors Chris Buck and Jennifer Lee were there in the room with her, directing her. My mom said it was very intense, [with Livvy] just saying lines over and over again different ways but that they were extremely nice and offered her breaks and drinks. There was a teacher on set also. My mom had to go in to help with the “giggle” part, she had to tickle Livvy so they could get a real laugh out of her. Livvy said it was not hard at all, probably easier because you get to keep your lines in front of you. They actually did an ADR session here [in Ohio] in September. This is where they make sure all the animation matches up with the voice and they add all the extra noises. That took about 45 minutes as well. What was Livvy’s favorite FROZEN experience? How did you prepare for the red carpet premiere? Was this her first red carpet event? 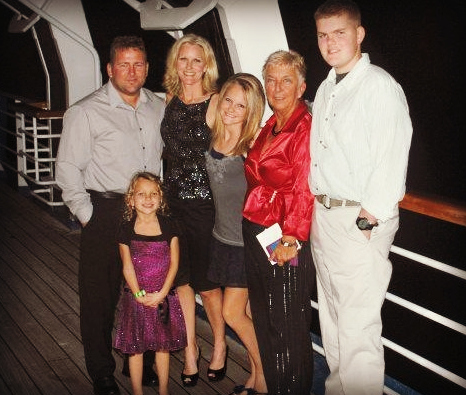 The Stubenrauch Family [L to R] Dad John, Livvy, Mom Noelle, Older Sister Hannah, Grandmother Sharon, and Older Brother Tanner. Does Livvy have siblings? Do they act as well? What tips or pieces of advice would you give parents whose kids want to become professional actors? I would say get an agent who doesn’t sugar coat things. My agents may tell me some things I don’t want to hear but I would rather them shoot straight from the hip. Don’t tell me my kid’s good if you really don’t think they are. Emphasize manners, a please and thank you go a long way and people remember it. Enjoy the highs while you can because you never know how long they will last. Let your kid be a kid. When Livvy is not auditioning or working she has chores, she goes to public school, she hangs out with her friends, and she fights with her brother and sister. WATCH this great interview with Livvy on the making of a child star – Very helpful! 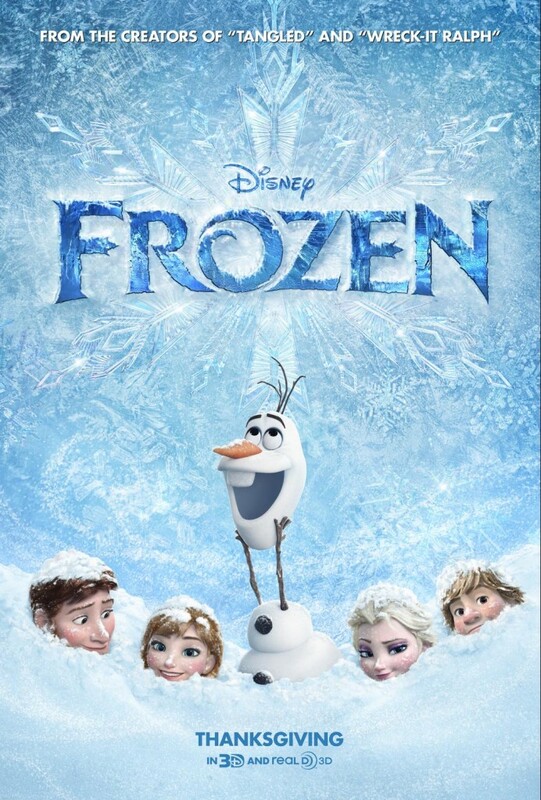 FROZEN opens in theatres everywhere on Thanksgiving day, November 27th! In the meantime enjoy these coloring pages and games courtesy of Disney!